Due to the global crisis, many international luxury brands are trying to escape from the European recession and are exploiting new areas by expanding their businesses in the BRIC countries especially in Brazil, which economy is among the most promising in the world. Brazil, the ‘B’ in the so-called emerging BRIC economies is now the world’s seventh largest economy in terms of GDP and it is estimated that about 30 million people have jumped from lower class to the middle class in the past decade. Currently in Brazil, there are 36 billionaires and around 165,000 millionaires according to Forbes’ 2012 World Billionaires’ list and one third of these millionaires are under 35 years old. Besides that, due to the economy boost, Brazil has been adding 19 new millionaires every day since 2007 and according to McKinsey Consultancy, it is estimated that around three million Brazilians can afford luxury goods nowadays. With the growth rate of purchasing power, credit facility and income in Brazil as well as the fact that Brazilians are spending more and more money on luxury goods outside the country than they had before, many international brands are paying more attention to the country and are planning to establish their operations there. Luxury brands yet do not extend their business beyond three main cities: São Paulo, Rio de Janeiro and Brasilia. 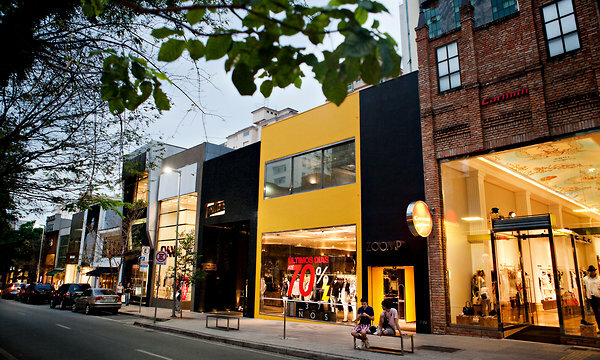 São Paulo, the biggest city in Brazil is the main place for them to start opening their business. Because of the lack of department stores and multi-brand boutiques, shopping malls as well as the Jardins distric, which is more or less the Brazilian’s Rodeo Drive version, attract most of the world’s luxurious brands. Whether in the Iguatemi, Cidade Jardim or JK shopping malls or on the streets of Oscar Freire, Lorena or Haddock Lobo in the Jardins district, is where people can shop most of the international luxury brands available in the country, home of brands such as Dior, Louis Vuitton, Marc Jacobs or Cartier. 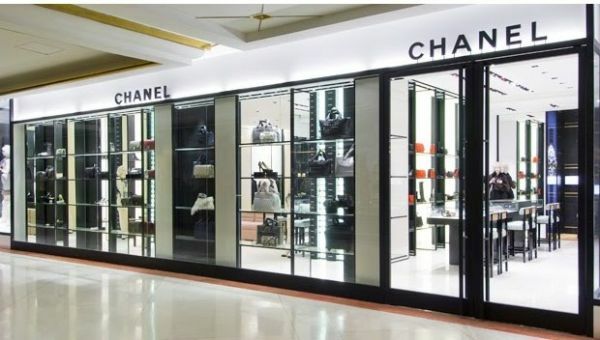 Brands such as Chanel has already opened three stores, Tiffany’s & Co has two, with more stores in Brasilia and Rio de Janeiro, Louis Vuitton, Gucci and Giorgio Armani S.p.A. have several boutiques in the country each. Cidade Jardim was opened in São Paulo in 2008, it is a 45,000 square meters mall, landscaped with trees and greenery scenario, with even the main focus is on Brazilian brands the mall still is home of international luxury brands such as Hermès, Jimmy Choo, Pucci and Carolina Herrera. 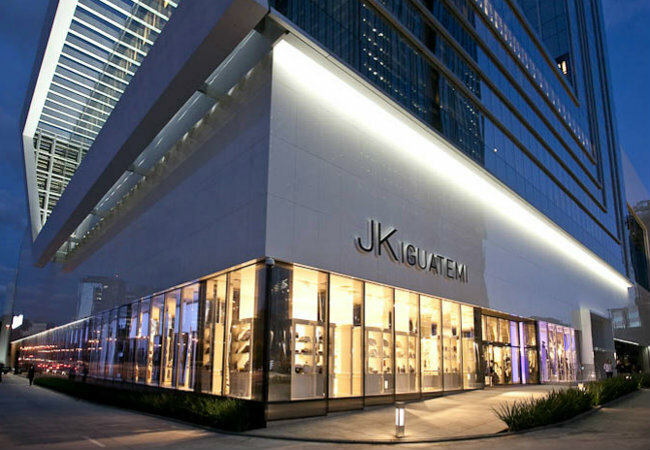 Recently opened in 2012, JK shopping mall has brought to Brazil new brands that weren’t present in the country before such as, Goyard, Tory Burch, Llc., Prada, Miu Miu and among others. All these facts point out the astonishing growth of luxury goods’ consumption in Brazil. However, making business in Brazil is not an easy task due to the government bureaucracy and the incomprehensible system of taxation that can be so high as to easily double or triple the European or American purchase price. As an example, at Burberry store a trench coat is sold in UK for $915 and the same trench coat in Brazil is sold for 3695 reais, or $2075 which means, more than twice as much as it costs in the UK. For this reason, many international brands don’t feel ready to face this challenge and are still reluctant to open their business in the Brazilian market. Brazilian consumers are increasingly interested in international brands. In the past, just a few luxury brands were in the country so it forced Brazilians to look for luxury goods abroad or asked friends who were traveling abroad to buy these items for them. Even tough many international brands are already present in the country; Brazilians are still shopping a lot abroad, especially in New York and Miami, due to the high taxations rate. In spite, some people are still willing to buy in Brazil and pay such outrageous prices because of two main reasons. Firstly, some Brazilians still prefer to purchase luxury items in the country because of the unique service and secondly because of the payment plan by installments. Customer service is the key factor that influences people to shop such expensive items, Brazilian clients have close relationships with their favorite sales person, who constantly feed them with information becoming their personal consultant. Besides that, in Brazil you can buy everything by installments, even luxury goods as Chanel, Hermès or Tiffany’s & Co you can buy in as many installments as it is possible, of course that it depends on the store you are buying in. Comparing to the others BRIC economies, Brazil is the only one that has a unique local luxury market that can be placed in the same level as an international luxury brand. Brazil’s answer for that is In Brands, the national version of LVMH and PPR, a multi-platform containing Brazilians premium fashion brands that are relatively unknown outside the country. These include high fashion brands such as Alexander Herchcovich, menswear lifestyle brand Richards, swimwear label Salinas and among others. But the Brazilian fashion brand with greatest international visibility is Osklen, founded in 1989 by Oskar Metsavaht holds 63 stores in Brazil and other 10 stores abroad, Metsavaht’s business is estimated to turn over between $170 to $230 million each year. All in all, even though the recession in Europe puts the global economy on hold, Brazil's buoyant economy continues to have a positive impact in the international luxury market becoming together with the others BRIC countries one of the most promising markets for selling luxury goods in the world.